Pittsburgh Veterinary Cardiology is a private practice providing specialized care, diagnostics, and management of all cardiac diseases in dogs and cats by Dr. Eva Sikorska, DVM, DACVIM and Dr. Erin Anderson, VMD, MSc, DACVIM, both board certified cardiologists. We are dedicated exclusively to the diagnosis and treatment of cardiac disease in small animals. As board certified cardiologists, we diagnose and treat various heart diseases in dogs and cats including congenital disease (birth defects) and acquired disease that develop over time. We strive to provide all of our patients with an excellent quality of life to spend with their beloved family. 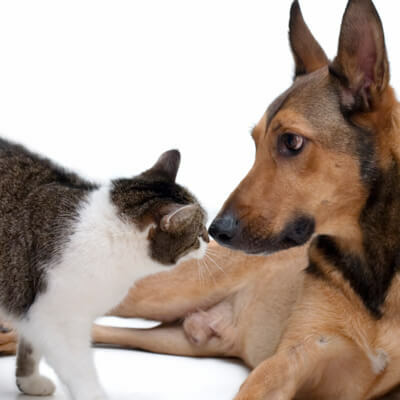 In addition, Pittsburgh Veterinary Cardiology works side by side with all the other specialty departments within the PVSEC building in helping to manage any cardiac complications that may arise as a result of non-cardiac diseases. Is your pet on a grain free diet? Click the link below to obtain more information about the recent concern for a potential link between certain pet foods and the development of dilated cardiomyopathy.